I remember the first time I ever watched the movie Doubt, there was one scene that stood out above all the rest, and that was the scene where Meryl Streep's character met the the mother of the boy in question who may or may not have been sexually abused. At the time I didn't know who the actress was in that scene and even though it was only a few minutes long, I already knew that I had encountered an actress I soon wouldn't forget. I immediately looked up her name on IMDB and made it a point to watch anything and everything she appeared in. It was from that day forward I became obsessed with Viola Davis. To the point that whenever someone would bring up her name in conversation I'd kind of give a little shout-out to her, only audible by me without interrupting their talk, because of just how damn talented she is. And now she's become the first Black actress in history to nab an Oscar, Tony, and Emmy for acting. 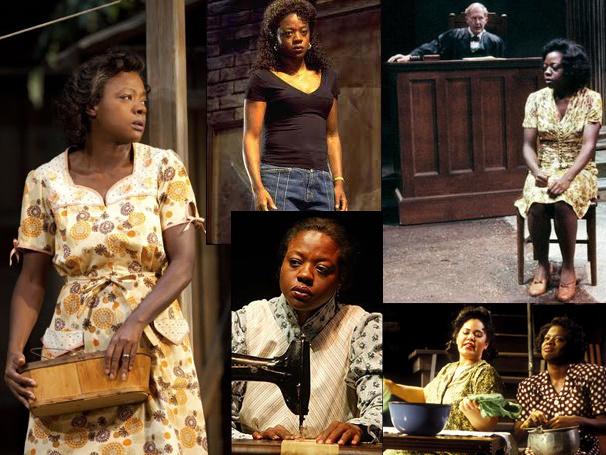 She earned two Tony awards, one in 2001 for her role in "King Hedley II" and another in the 2010 revival of "Fences". 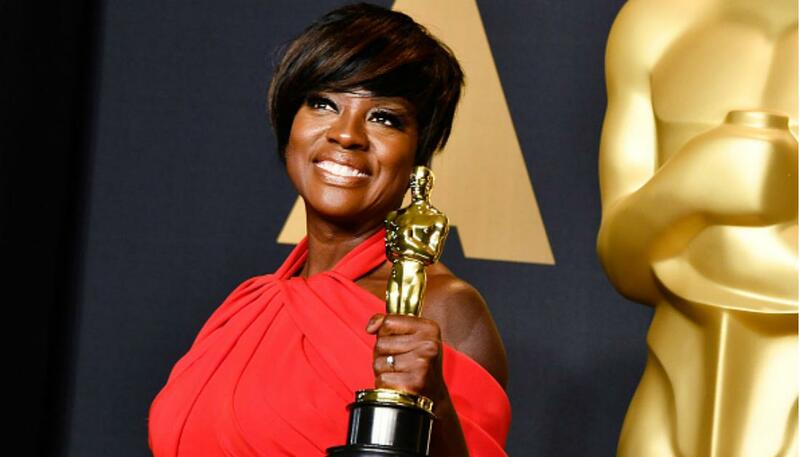 In 2015, she brought home an Emmy for the popular new series, How to Get Away with Murder. Davis joins good company. With her new Oscar, she joins the likes of Al Pacino, Helen Mirren, and Jessica Lange, to name a few. Her Doubt co-star also has a triple crown, which is no surprise since she's basically the queen of acting. Whoopi Goldberg completed a "Triple Crown" of her own, but her Tony for "Thoroughly Modern Millie" was as a producer and not an actress.